Hi everyone – so I’m a newish author with a YA dystopian book (published by a small press) that’s been out in the market for six months now (has it really been that long already—wow!). Anyway, all I have to say after six months is that if you think writing is hard…well, promo is at least TWICE as hard (at least it has been for me so far). Now, this post isn’t a “how you should market your book” post. Far from it, actually. I admit it, as much as I’ve delved whole-heartedly into the whole promo thing, I’m still learning the ropes, even after six months. After all, it’s a gigantic topic with an overwhelming abundance of info you can find all over the Internet—it can be exhausting just to try to research and sift through it all. So…rather than go through an incredibly long list of alllllll the types of marketing/promo you can do for your book (in fact, I’ll list a few of the absolute necessities right now that I’ve heard countless times on industry sites and blogs: have a website, create business cards with your book on it, find the social media applications your readers use the most and interact with them, etc. ), I thought it would be fun to list a few things that I know for a fact have led to at least a few sales and/or have expanded my book’s presence in the marketplace. 1. Find Facebook reading promo groups that deal specifically with your book’s genre and post in them about your book (be sure to include the buy link). There are TONS of reading groups on Facebook, but after posting in a lot of them, I found that hardly any sales resulted (very sad, I know). The only exception was when I posted in the very few groups that deal specifically with my genre. Not only did my posting in those groups result in sales, the readers were the only ones who even reacted to my post at all—and they were EXCITED to hear about/read my book. 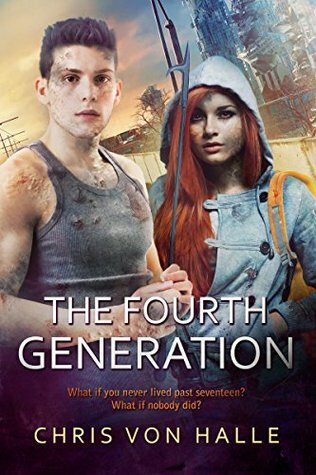 Interestingly, it was the groups that deal with the dystopian genre that got the most response, rather than the age category of young adult (at least for my book, anyway). 2. Locate (or establish if it’s not already) your book on Goodreads, and then start adding it to groups that deal with your genre in the listopia function. If you’re not familiar with listopia, it’s comprised of a bunch of lists of books that anyone can create and that anyone can add books to. Just make sure you read the guidelines of each group before you add your book. Some group creators don’t want outside people (i.e., not them) adding to them, or outline specific things that may not apply to your book (i.e., they want only standalone dystopian novels to be listed versus series, and you have a series). I haven’t been able to tell for sure if this has resulted in actual sales, but it has definitely resulted in people adding my book to their “to-be-read” lists, and thus has resulted in some ratings and a review so far for my book, so I imagine at least some people have bought the book via the listopia function. If not, my book is definitely more visible in the marketplace. 3. Participate in other authors’ Facebook release parties (I would also recommend having a release party for your own book when it comes out). This can admittedly sometimes be hit-or-miss, as it depends on how many readers are attending the party, and that, of course, depends on how popular the author is or how much advertising the author has done for the party, but it can be a great opportunity to do a giveaway of your own book and interact with readers on Facebook. Plus, it’s just good karma—us authors need to help each other out, after all! I’ve participated in a few release parties so far, typically giving away a free e-book copy of my book to a randomly selected reader, and it has always been a fun time at the very least. 4. Making your book free or putting it on sale for 99 cents for a limited amount of time. My publisher told me that 99 cents usually garners the best response from the market, and I have to say it has led to a few sales for me. Of course, you still need to get word of the sale out into the world, but who can argue with getting a book for free or for under a buck? SPEAKING of which, my book is STILL on sale (OK, OK, so this is the shameless plug part of the post; you can find my on-sale-book here: Amazon: http://tinyurl.com/z474hq9 ) for only 99 cents now until February 14. Chris von Halle has had many different lives in many different worlds—the near and distant future Earth, other planets, and even other dimensions—and his books recreate his childhood memories of such outlandish locations. In thisworld and life, he lives in Ridgewood, New Jersey, and enjoys such extraordinary activities as playing videogames, tennis, and basketball, and writing the occasional comic strip. LEANDRA: No prob! Promo is HARD! MICHELLE: Thanks so much, and thanks for having me! Great premise with great reviews and an awesome price-it's on my Kindle now!